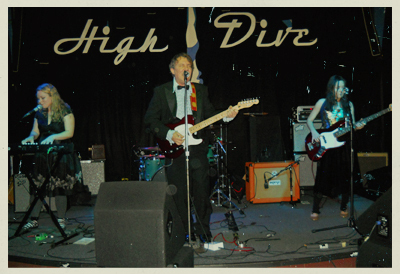 On a crisp November night with a crescent moon looming overhead, we stumbled upon a wave to Fremont which ended at the High Dive to get our first taste of Gary Reynolds and the Brides of Obscurity. 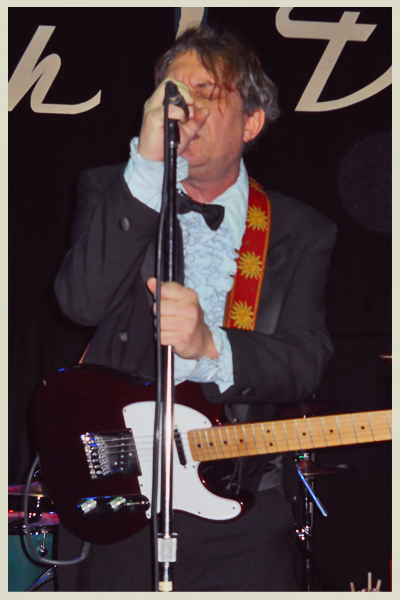 Decked in a sharp tuxedo Gary came on stage ripping through a set of 60's inspired fuzz. Rockin' like Eric Burdon, Gary Reynolds and his Brides delivered a lively performance with a packed house dancing the night away. Gary Reynolds is a 10 year plus sonic veteran of Seattle. His original line-up which started back in 2000, was Gary with three guys backing him. 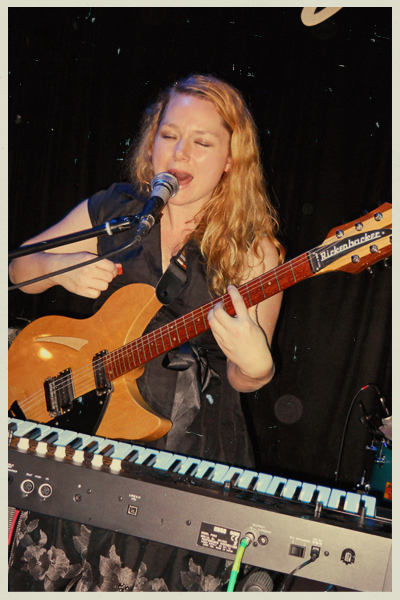 A little over a year ago he revamped the band, enlisting the help of three rock n' roll brides- Naomi Hall (guitar), Faith Stankevich (bass, drums), and Liz Roderick (bass, keyboard, Pictured Below). Their sound is instantly likable- With a slightly psychedelic indie vibe, and a heavy 1960’s influence. 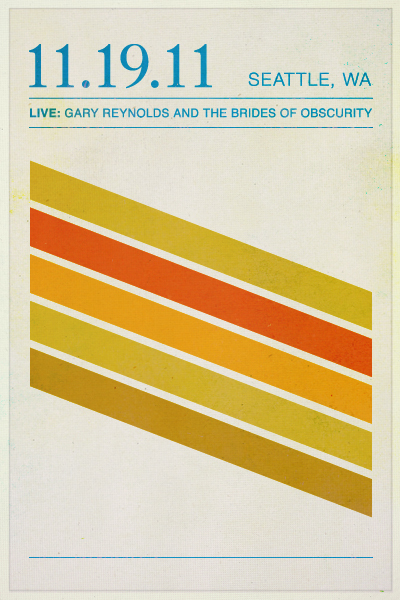 Gary Reynolds and the Brides of Obscurity left us wanting more, it's an inspiring sound you don't often hear coming from bands out of Seattle, and we can't wait to see them again.